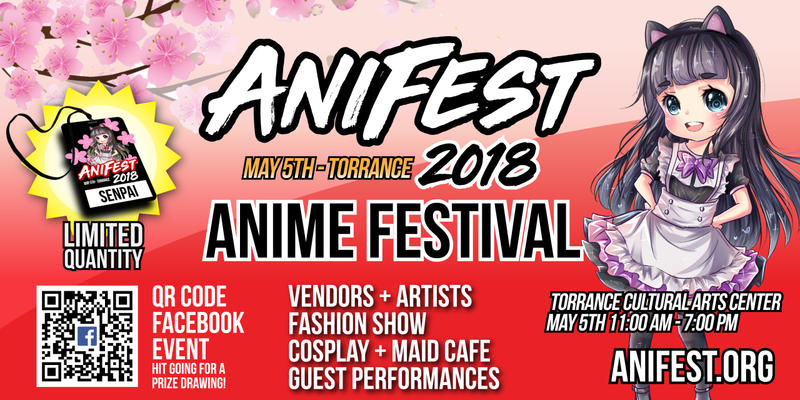 Torrance, CA — 03/25/2018 — JCEG, a non-profit organization based in Los Angeles, announced a new exciting Anime festival to be held at the Torrance Cultural Arts Center in Torrance, CA. The festival is planned at the venue’s Torino plaza, and various indoor locations totalling approximately 20,000 sqft. The date of the event is May 5th, 2018. 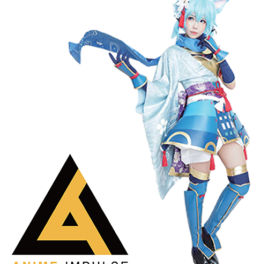 AniFest (https://anifest.org), the organizers of the event, is managing the stage programming, vendors, gaming, and other anime-inspired entertainment. Anime conventions are not a rare sight in the United States. With the popularity of Anime increasing and becoming mainstream on streaming platforms such as Netflix, there have been over a dozen Anime conventions in California just last year. AniFest is set to change the traditional convention format, with a more outdoor festival format with traditional Japanese cultural influences such as their taiko (Japanese drums) performance by Yuujou Daiko. Traditionally, Anime conventions also come at a moderately high cost, with hotel fees, badge fees, and parking fees adding up to the hundreds of dollars. AniFest comes in with a modest $10.00 ticket price along with free parking, and without the requirements of a hotel stay because the festival is a one-day event. Despite the event being new, local vendors and sponsors have already signed up to exhibit at the event. A full list of artists and exhibitors can be found on their website, and current artists can be found here (https://anifest.org/artists/). In addition to exhibitors, many guests have planned to visit and appear at AniFest, which can also be found on their website. “…they (Anifest) are a pleasure to work with, you can tell they care about their vendors and attendees. We’re glad to be a part of the festival and will stick around for a long time.”, states TrinketSlot (http://trinketslot.com), the famous Los Angeles based anime artists and jewelers. Other well-known anime community vendors such as Okamoto Kitchen, AnimeBooks.com, and Creators Guild have also been confirmed to exhibit at AniFest. 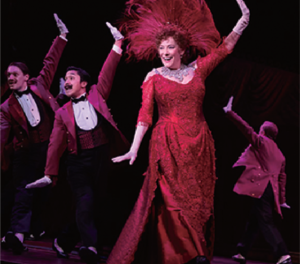 In 2017, a group of convention enthusiasts created an online group on Facebook to build a community and encourage collaboration in a fun and endearing environment. With each passing event, the group grew larger and the aspirations of hosting a large festival became possible. AniFest is a 501(c)3 Non-profit Organization. From the creators of TitanCon and Anime Convention Fans.